The Internet becoming readily accessible everywhere with mobile devices has lead the companies which want to interact more effectively with their target audiences to create mobile apps and take their places in this market. 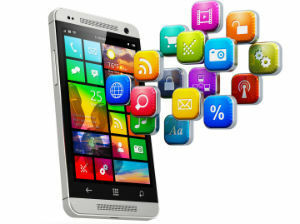 Read more about key features of successful mobile apps. These apps have brought many benefits to the mobile users, and have brought in short time brand new developments in parallel. Now the mobile users reach for the mobile apps for many processes that make their lives easier. At that point, some apps are preferred much more than the others. If you want your place in the mobile world to be a lasting one too, remember that there are some things you need to take special care of when creating your mobile app. Here are some common features found in mobile apps most preferred by the users. Users comments on app stores make it significantly easier for the app to be downloaded and used. Another one of common traits between successful mobile apps is getting more recommendations through positive user comments. You can, aside from ensuring the quality of your app, also offer gifts and advantages to encourage users for commenting on your app. The word “push” in push notifications means pushing into action, with creating a strong motivator. As can be inferred from its name, push notifications can channel the users towards the targeted action when used correctly, and therefore they can be very helpful for your app’s success. To this end, you can call your users to action with presenting gifts, offers, and campaigns, and with the right timing you can make effective use of push notification. Through this, you can also increase the success your mobile app. Providing the updates that will keep up with developments in technology is as valuable for users as the stable features of mobile apps that provide convenience to them. Therefore, another common theme among the mobile apps preferred by the users is inspiring interest with their updated content and providing this continuously. You too can reach your users with fresh and quality content and lead them to spend more time on your app. By being mindful of these common features of successful mobile apps tips we have shared, you may take your place among the apps preferred the most by the users. MobiRoller offers you all the technical support for reaching your target audience by an app you will create that is in line with latest technological developments. To take a strong position in the world of mobile, create your mobile app right now and claim your place among the most preferred apps.